Like photography, fashion, and art, gardening has long been a male-dominated affair-- at least when it comes to positions of power. Now, NYBG is changing the narrative. 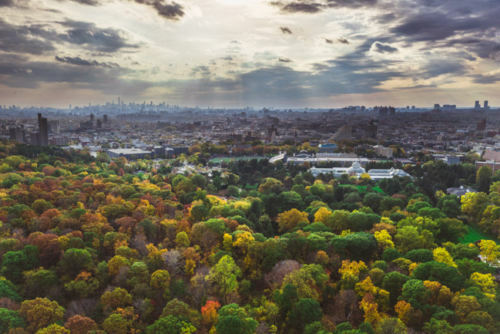 As the New York Times recently reported, the New York Botanical Garden– one of the oldest institutions on the New York culture map– recently hired its first female president, 58-year-old Carrie Rebora Barratt, who comes to the organization from the Metropolitan Museum of Art. At a time when #MeToo and the politics of gender dynamics have never been more visible, Barratt’s hiring marks a progressive step forward, if nothing more than for what it represents. Much like in the realms of photography, fashion, and art, gardening and the institutions that surrounding it have long been male-dominated affairs– at least when it comes to positions of power. Horticulture, landscape design, and master gardening, while inclusive of women at the participatory level, tend to become institutionalized along the same power structures as any other industry, with men leading from the top down and few women advancing to positions of major influence. Barrett will succeed current President and CEO Gregory Long, who has led the institution for an innovative and extremely successful 29 years. Her start date is July 1, 2018. Once of the first major exhibits under Barrett’s administration will be the summer run of “Georgia O’Keeffe: Visions of Hawai’i,” which will open at NYBG on May 19. 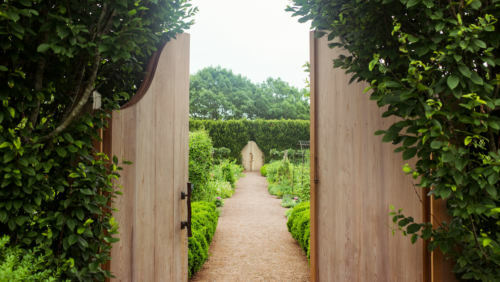 The exhibit represents a continuation of the plant-art theme that the garden continues to pioneer as they curate their special exhibits– a theme that Barrett’s seems well positioned to continue, given her background in the art world. The New York Botanical Garden’s recent exhibits in this spirit included a critically acclaimed Frida Kahlo retrospective that shattered attendance records when it came to the garden in May of 2015, and Dale Chihuly’s monumental blown glass sculpture installation, which ran spring through fall in 2017. The highly anticipated Edible Academy will also launch this summer at the garden. An initiative designed to provide education, hands-on activities, and programs to help children and families learn about growing vegetables, fruits, and herbs, the academy will be helmed by Vogue‘s favorite farmer and founder of Eagle Street Rooftop Farm Annie Novak– another amazing women who is advancing the cause of gardening in New York City, one seedling at a time. Looking back at the New York Botanical Garden’s Frida Kahlo retrospective.